Having moved back to its more traditional Easter Bank Holiday weekend for 2017, the opening two races of the British GT Championship were met with typical bank holiday weather and a raging bull that had no intention of stopping. Low cloud, falling rain and hence a very wet track greeted the British GT field for their ten minute warm up session this morning and it got no better for the first of two races that started just before midday. 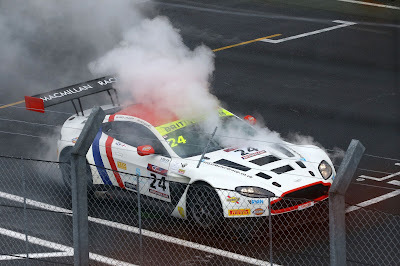 Excitement (of the wrong time) erupted even before the cars had time to move away from the grid on their two warm up laps when the leading Aston Martin - the #24 MacMillan V12 Vantage GT3 of Jack Mitchell blew a coolant pipe on the grid consigning them back to the pit lane for repairs. With the amateur driver starting the race, all exercised the necessary level of discretion in the opening corners as the plumes of water blew out from the rear of each of the cars reducing visibility to maybe the length of their bonnets. 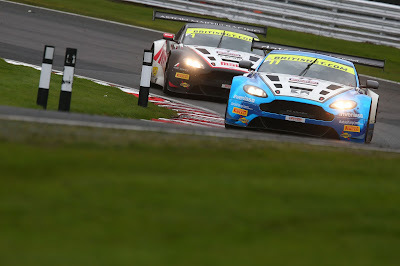 Unfortunately, in the bunching to the rear of the field the #62 Academy Motorsport AMR GT4 of Will Moore made contact with the #42 GT4 of MacMillan Racing's Will Phillips causing the #42 to loose places and the #62 a very expensive bonnet. That incident would ultimately be investigated and Moore being issued the Driving Standards flag for his efforts. 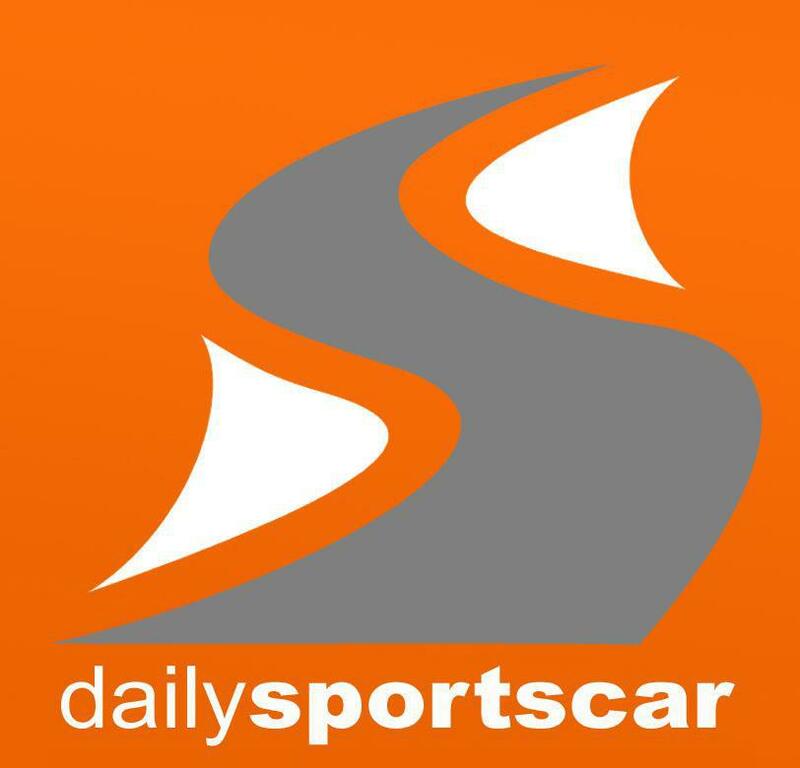 Phillips would have little further luck as contact also ensued with the #29 McLaren 570S GT4 as both squabbled into turn 1 letting another expensive lump of carbon fibre fly of one of the cars. Just before the half way point, TF Sport's Mark Farmer was having a dogged fight with a Ginetta GT3 for fourth when he had his first 'heart in his mouth' experience of the season when a GT4 spun off the track directly in front of him. As the mandatory pit window opened both TF Sport cars (#11 and #1) pitted for their driver swap and 65 second minimum time with Jonny Adam hard on the tail of Jon Barnes as they re-emerged, albeit racing for P6 at the time. With the Pro drivers now in the cars the lap times dropped by nearly 10 seconds as the track was beginning to show the initial signs of a dryer line. The Team Manager of the GT4 class leading #62 Academy was also being summoned to Race Control for breaching their minimum pit lane time by an incredible 18 seconds - for which an 18 second stop and hold penalty was duly issued. As the race ran into its concluding laps, those not on slicks were really struggling and 'looking' for areas of wet to help their deteriorating tyres. Adam had by now passed the Bentley of Seb Morris to claim P3 whilst Barnes was now trying to do the same. 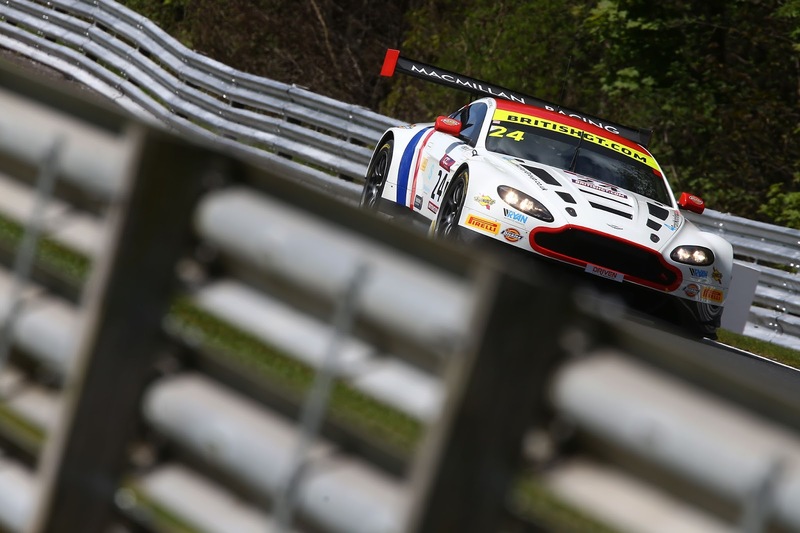 At the end, Adam/Johnston would claim P3, Barnes/Farmer P5 in GT3 whilst Nicholl-Jones/Moore would take P3 (despite their penalty) in their class with Jonck/Phillips P5. Race 2 would also be starting under grey skies but at least the track was dry enough not to require wet tyres. The #11 TF Sport car and the #24 MacMillan GT3's would again be starting as the highest placed AMR's with Adam starting his #1 car at the rear of the GT3's having set no time in qualifying on Saturday. With the same amount of bumping and grinding towards the rear of the grid, the #62 Academy car of Matt Nichol-Jones was an early casualty (presumably after contact with the #56 McLaren of Joe Osbourne) who also retired in the opening laps. James Littlejohn (#24 MacMillan GT3) was having his first racing exploits in the series with a GT3 car when Morris came knocking at his door earning him a post race investigation after already knocked at the door of his Team Parker Racing team mate. The Pro's of course ran long into the maximum drive time permissible before they pitted leaving a 30 minute sprint to the flag. As the cars re-emerged from their respective pit stop cycle, the #11 car of Mark Farmer had now extended his cars lead of the sister car wit Derek Johnston now at the wheel. Jack Mitchell was also getting his first competitive racing experience in his MacMillan GT3 after the starting grid disappointment of race 1 (the car did come back out in Race 1 but only for a brief shakedown to check their repair work). Farmer was having a great inter team race with Johnston until a monetary lapse in concentration allowed the #1 car through for position with just 15 minutes remaining. Three minutes later however, the race would come to a premature end under the Safety Car after the #88 Abba Rollcentre Mercedes AMG GT3 and #7 TPR Bentley made heavy contact with themselves and the tyre wall. Fortunately, neither driver received any obvious injury although both cars were significantly damaged in the impacts. 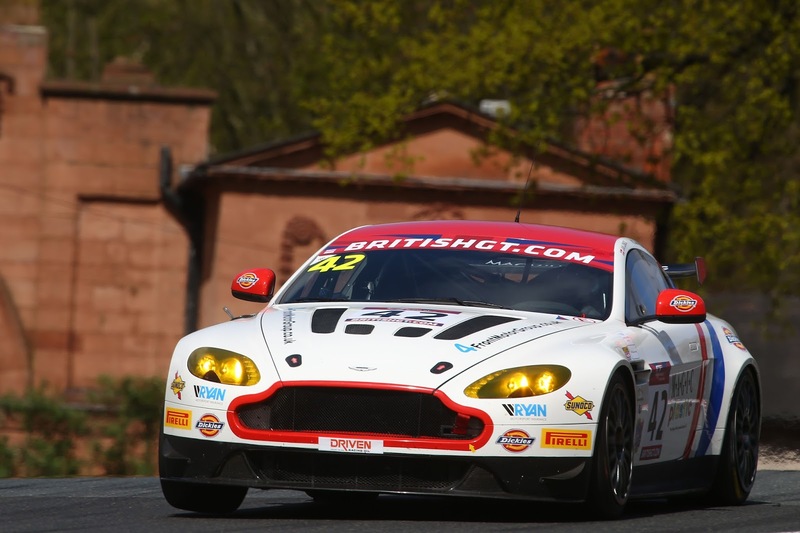 Race 2 would end Johnston/Adam P2, Farmer/Barnes P3, #42 Mitchell/Littlejohn P6 in GT3 and Phillips/Jonck P8 in GT4. 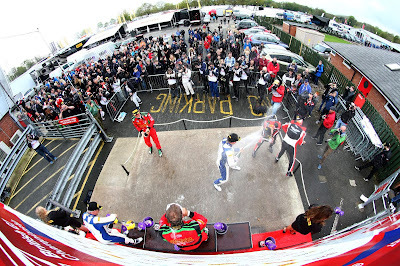 With the #33 Barwell Lamborghini of Jon Minshaw and Phil Keen winning both races with comparative ease they obviously come out from Oulton Park as the GT3 Championship leaders and the car to beat. The British GT Championship now moves to the Rockingham circuit for the next round at the end of April.